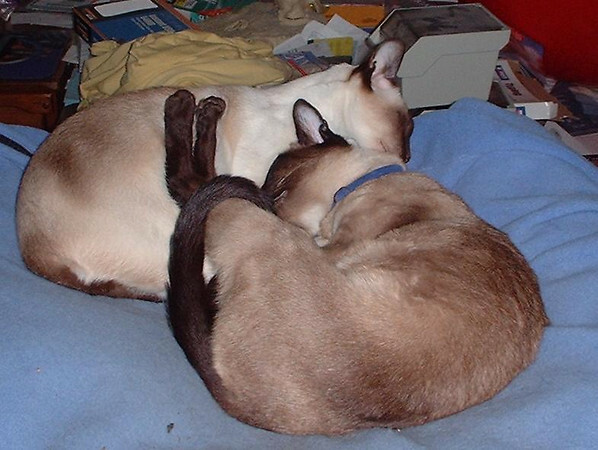 Our beloved Siamese cats, Pooh-Bah, a seal-point and Chloe, a chocolate-point. Pooh-Bah died tragically Sunday, August 9, 2007. Chloe died after an illness November 24, 2007. We will always love them.